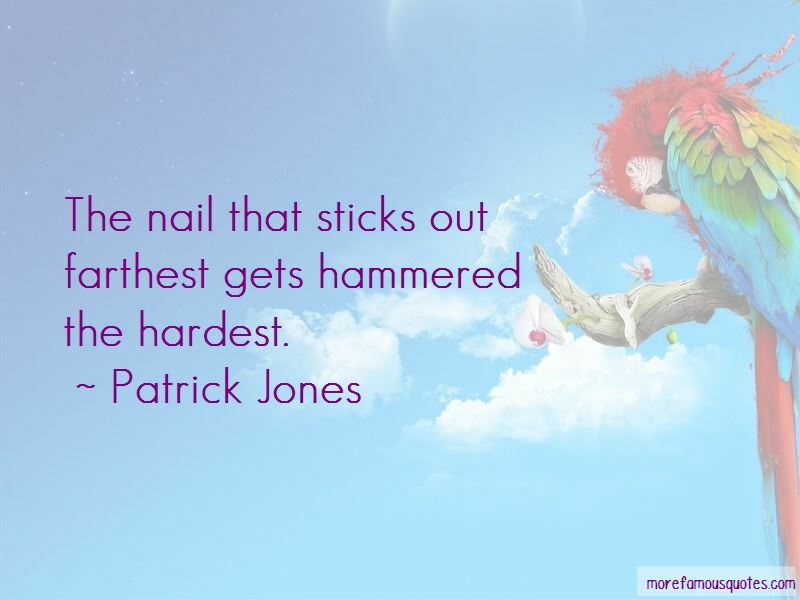 Enjoy the top 12 famous quotes, sayings and quotations by Patrick Jones. Everybody's got their secrets; I carry mine like a jagged stone in my shoe. Why in the world would you want to be?' she says. But so many people choose it,' I reply. I've learned to listen not to what peolpe have to say 4but how they say it. I watch them closly how they speak, in particular their eyes.Lips lie, but the eyes never do. That's life you know? It is all one big waiting room. Sometimes it's good, sometimes it's bad. And then, like you, sometimes it's great. 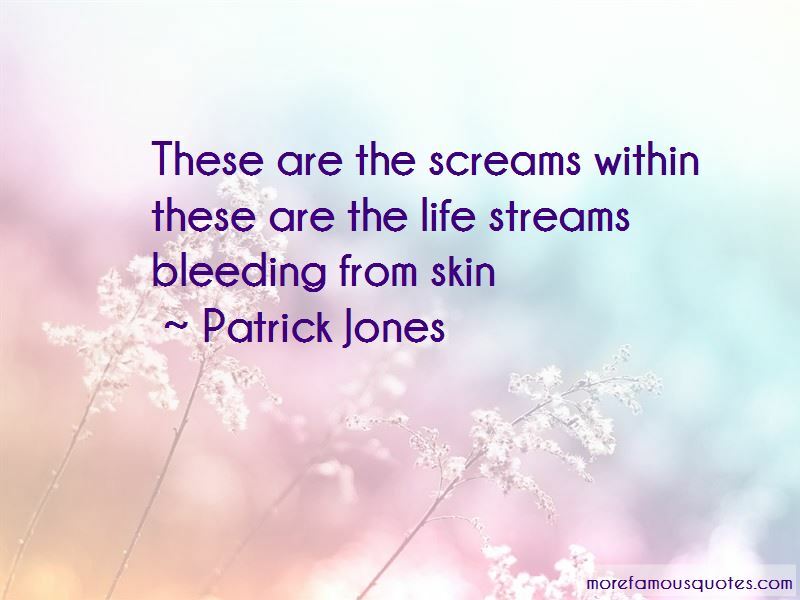 Want to see more pictures of Patrick Jones quotes? Click on image of Patrick Jones quotes to view full size.